Brampton, ON– Sept 18, 2015 – Paul Bertin, RIC Centre Chair announced, “Startup Boot Camp”, a new initiative developed in partnership with Bereskin & Parr and Pallett Valo,” at the Convergence Event in Brampton. Bereskin & Parr and Pallett Valo have partnered with RIC Centre to develop and deliver new programs to support clients. “Entrepreneurs told us it was a challenge to find help from professionals to launch early stage companies in a recent (RIC) survey,” said Bertin. Rallying around startups is the prime role for the RIC Centre as the innovation hub for Brampton, Mississauga and Caledon in the Peel Region. Their mission is to “fast-track entrepreneurs to market”. “The life of an entrepreneur is a difficult one with many challenges. You need to have access to professionals that can relate to your issues,” said Brent MacKinnon, CEO and Founder of NextGrid Inc.
Startup Boot Camp will offer bi-monthly workshops to help provide basics of starting a tech based business. The added value will be a follow on opportunity for entrepreneurs to meet one-on-one with the professional providers for more detailed discussion. Tech based companies often have added complexity at the startup stage to protect their idea. The Startup Boot Camp will launch in October. For more information, visit www.riccentre.com. Bereskin & Parr LLP is a leading Canadian intellectual property law firm serving clients of all sizes in various industries, both domestic and international. 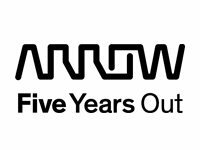 The firm was founded in 1965 and has grown to be one of the largest IP law firms in Canada, with four offices located in major economic or technology centres. 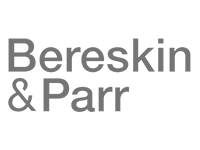 Bereskin & Parr is made up of more than 70 lawyers and patent and trademark agents, many of whom are recognized as leading practitioners in their respective fields. The firm’s practice is comprehensive, encompassing all aspects of intellectual property. Both the firm and its award-winning professionals are consistently ranked as the benchmark for IP law in Canada. 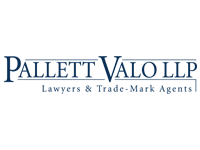 Pallett Valo LLP is the largest law firm in Peel Region and has been recognized again by its peers as one of the Top 10 Ontario Regional Law Firms. The group includes dynamic legal advisors, strategists and supporters of the entrepreneurial leaders and business managers of today and tomorrow. Clients range in size from emerging growth ventures – both new and old economy – to established companies, both private and public, including recognized world leaders in many different industries. They include financial institutions, municipalities, and other governmental agencies.